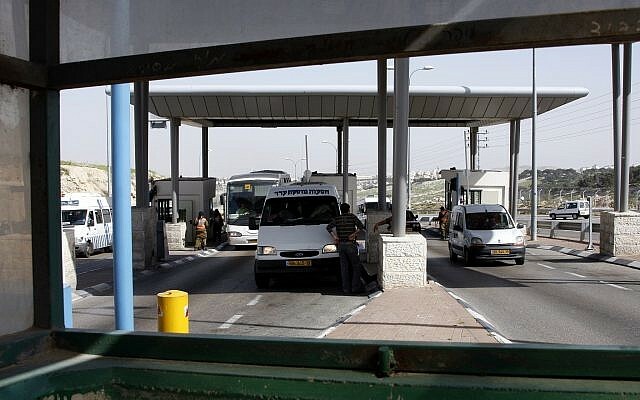 The Police Internal Investigations Department on Monday arrested a Border Police officer suspected of firing a sponge-tipped bullet into the back of a Palestinian man “for fun” in the West Bank in May. 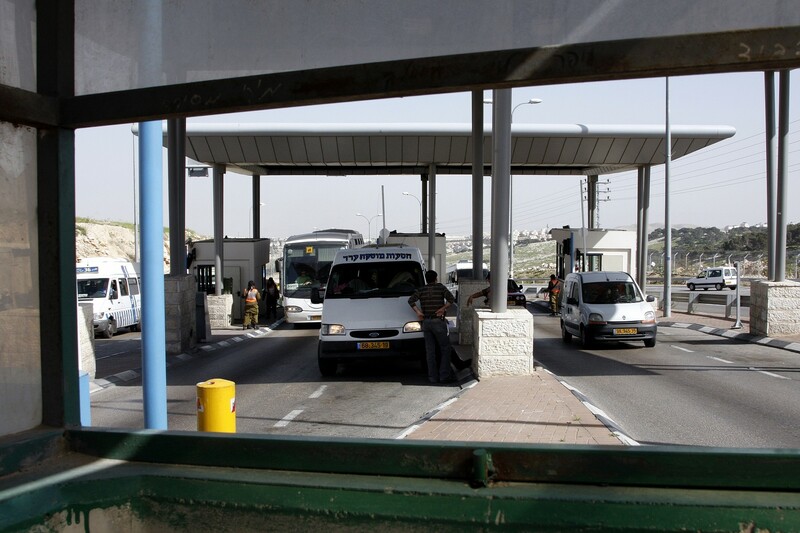 The policewoman, aged about 20, was said to have opened fire at the A’Zaim checkpoint without any operational reason, causing the man significant injury. The officer, who hasn’t been named, was arrested alongside four other Border Police officers suspected of being with her at the time of the shooting. The incident was reportedly recorded on the phone of one of the unit’s officers. In it, troops can be heard telling a Palestinian — in Arabic — to walk away, and several seconds later he is shot in the back with the sponge pellet. 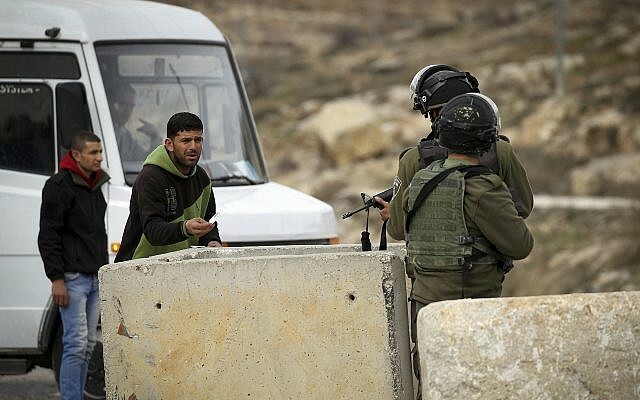 The Police Internal Investigations Department, which is part of the Justice Ministry, said it doesn’t know the identity of the Palestinian, and that efforts were underway to locate him. The department was examining text messages in which officers in the policewoman’s unit appeared to brag about the incident, with the policewoman admitting in some of the messages to have fired the bullet, Haaretz reported. She is also suspected of obstructing the investigation by asking her friends not to talk about the incident. A judge at the Jerusalem Magistrate’s Court on Monday extended the officer’s remand by three days, and released the other suspects under several restrictions.